Peter passed away peacefully at the age of seventy-eight on Wednesday, January 11, 2012, surrounded by loved ones. Beloved husband of Gay McDougall; cherished father of Peter Cameron (Deb Dagenais), Miriam (Kevin Dias), Mark, Monica Bouchard (Christian) and the late David; treasured grandfather of Caileigh, Megan, Keaton, Leanne, Bethany, Erica, Tara, Sarah, Magdalene, Matthew, Aaron, Joseph and Evelyn; dear brother of the late Michael (Violet), the late Christopher (Ruth), Anthony (Wendy), Nicholas, Lela (Richard) and Jennifer (John). Also a special uncle, cousin, godfather, mentor and friend. Predeceased by his first wife Bernadette. Born in Montreal in 1933, Peter graduated from Loyola High School, Loyola College, McGill University and Concordia University. Dedicated Oncologist and General Practitioner at St. Mary’s Hospital and worked in Palliative Care at the Montreal General Hospital. Peter was a true renaissance man; in addition to a career in medicine, he pursued his interests in sailing, woodworking/turning, theology, art, music, languages, birding, camping, canoeing and cooking. Peter was instrumental in setting up the West Island Palliative Care Residence and was a Pastoral Visitor at the Lakeshore General Hospital. The family will welcome you to Fritz Community Centre, 20477 Lakeshore, Baie- D’Urfé (514-695-7979), on Friday, January 13 from 2 – 4 and 7 – 9 p.m. The Funeral Mass will be celebrated at St. Edmund of Canterbury Church, 105 Beaconsfield Blvd., Beaconsfield, on Saturday, January 14 at 1 p.m.
Eternal rest grant unto him O Lord, and let perpetual light shine upon him. May his soul rest in peace. 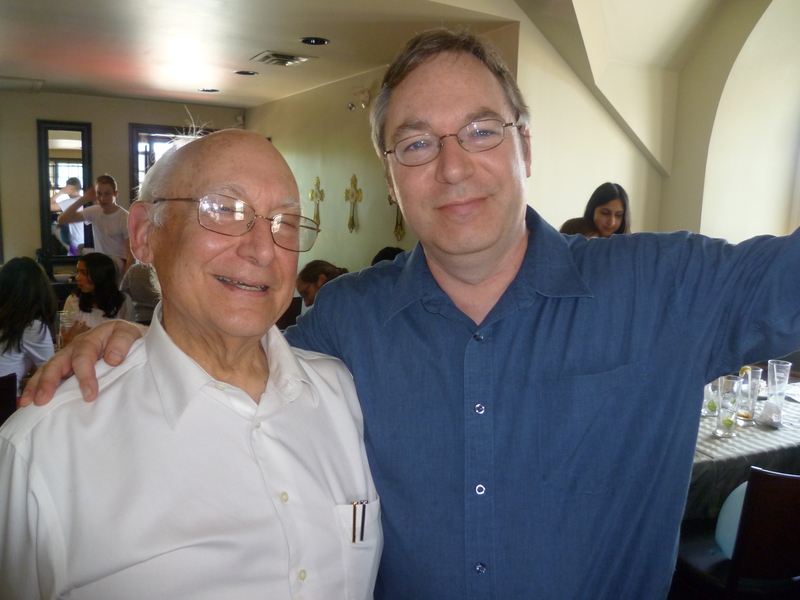 I’ve been meaning to blog about my father, but I find it difficult to get started. I gave the eulogy for his funeral, but I was told that it had to two to five minutes; so, I stuck to the parameters and wrote something that was under five minutes, even accounting for getting choked up or emotional. But I figured I would write a longer bit on this blog. Unfortunately, I find that I am just not ready yet. I made a decision to write 52 blogs this year. I knew I wouldn’t end up writing one a week, but overall I wanted it to average to one a week. Since I thought my next blog would be about my father and I haven’t been able to write about him yet; I haven’t written a blog entry. 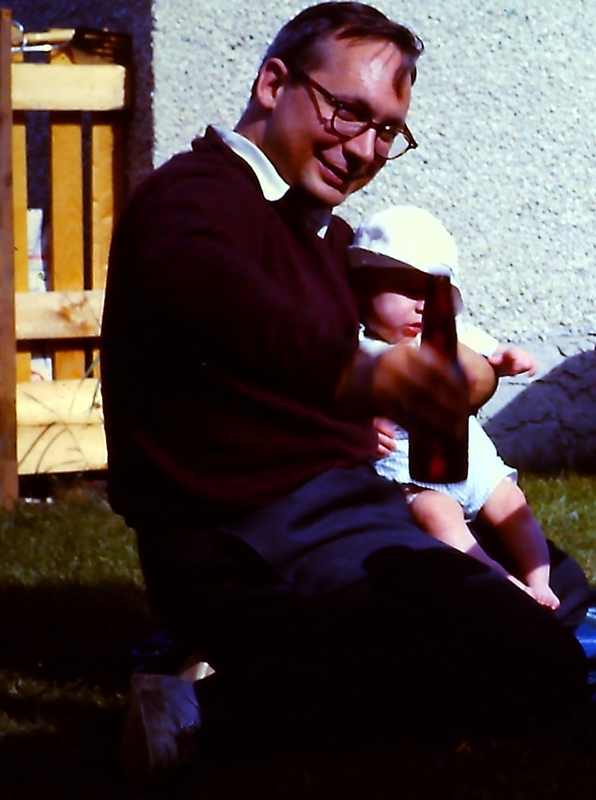 So, I’m going to put off writing about my dad for the moment. I willl get to it when I’m ready. But, I will include my eulogy from his funeral. Not nearly enough words to describe my father, but enough for now. It’s hard to encapsulate the life of someone who was so much more than the sum of his parts. Peter Hamilton Gruner was my father. But he was Miriam’s father and Mark’s father and David’s father and Monica’s father. He was Gay’s husband, but he was also Bernadette’s husband. He was a son to Malcolm and Jessie. He was a brother to Michael, Chris, Tony, Nick, Lela and Jenni. He was a grandfather to Caileigh, Megan, Keaton, Leanne, Bethany, Erica, Tara, Sara, Magdalene, Matthew, Aaron, Joseph and Evelyn. He was an uncle and a cousin. Don’t worry, I’m not going to go through everyone’s names. But even though he shared some of those roles with other people, each person felt that their relationship with my father was unique. And it was. He was a doctor, a prankster, a sailor, a woodturner, a musician, an artist, a cook and so much more. In fact, he was a bit of a nuisance. If you know the Gruners at all, you know that we are a competitive bunch and my father set the bar so high that if we had a jersey for him, we’d retire it. But as a son, you’d think that your father’s achievements would diminish after he retired from working life. But no, he decided to get his master’s in Theology. And he helped set up the West Island Palliative Care Residence. He took up wood turning. He and Gay were planning on going to Peru to build houses in the Spring. There was just no stopping that guy. My earliest memory of my father is of him sitting in his office at home, pouring over his medical journals. For my father, mastery wasn’t a destination that you reached, it was a process that you lived. I knew at that time that a good doctor doesn’t just become a good doctor after his or her training. They continue to learn and develop. It seemed like a lot of work and definitely not something I was interested in. It took me many years to realize his real lesson: Anything in life worth achieving takes effort. And there is no final destination of success, but a series of plateaus that you reach and savour before starting up on the next ascent. As a doctor and a person, my father brought so much more to everything he did. Love and compassion informed his interactions. It used to drive me crazy when we went to church because after mass all kinds of people would come up to him and talk. I mean there was TV to watch and breakfast to eat and all this chitter chatter was eating into my Sunday. I really didn’t understand the effect that my father had on his patients. When I was in high school, I did a project on cancer and my father let me come on his rounds with him. We came to one woman who was distraught. She had just been given an update from another doctor and she looked at my father with fear in her eyes. “Am I going to die?” My father explained the results in detail and although he didn’t embrace the woman, his words were like a hug to her. That was when I understood why my father was a great doctor. He took the time to be with people, even if it was only an extra few moments in a busy day. I really believe that healing was a vocation for my father. He came across so many people at cross roads in their lives and knew that their spirit was as important to heal, if not more so, than their bodies. And that is how he dealt with everyone. It is so difficult to imagine life without my father being a phone call away. Although, it is painful to think of him as leaving us behind while he reunites with loved ones who’ve preceeded him; I am grateful that we had him here for as long as we did. His presence in our lives was a gift. He reminds me a bit of George Bailey in It’s A Wonderful Life. He touched so many and was beloved by so many. Thank you for coming today. Although there will be tears, let’s not forget the laughter. We’re here to celebrate the life of a wonderful man. Wonderful eulogy, Peter. A fitting tribute from a loving son. Oh Peter, that was absolutely beautiful. After reading your eulogy, I can honestly say I wish I knew him. Word is getting around about your post, and well it should. I know that there is much more to say, but you spoke about the essence of your father in how he related to the world around him, and you were so eloquent. Thank you. Very nice Pete! I know exactly how you feel – I was just just hung the phone up from speaking with my Dad and hours later he was rushed to the hospital with a brain aneurysm. Three days later he passed away. It broke my heart and I still feel heartbroken. He too was a great man who I loved dearly and was loved by all his children, grandchildren, brothers, sisters, nieces nephews. etc. He touched a lot of people heart’s. Nine days after he passed his mother passed away – she was 99. It was almost like she was waiting for him to go first. It will be 2 years on March 9th, and it still feels like yesterday. God Bless you and your family through this difficult time!